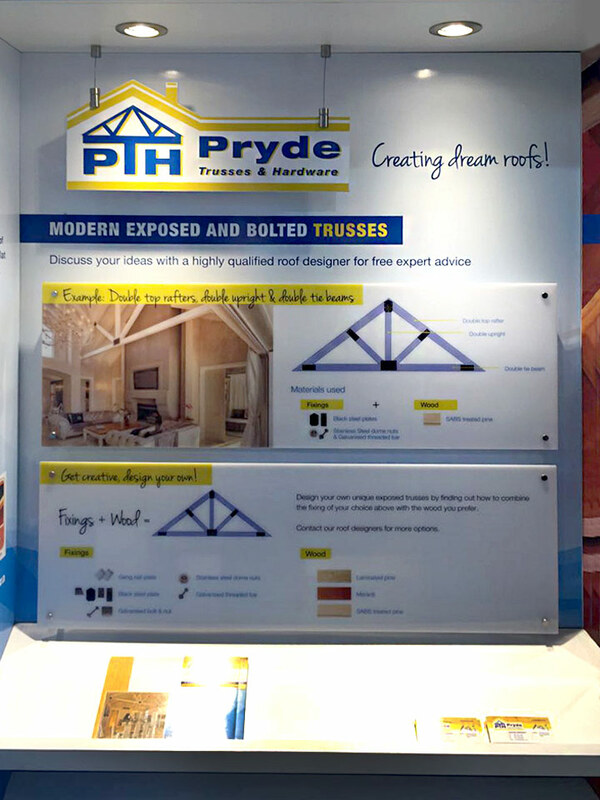 I had to assist in conceptualising a cost effective way to create a long term expo stand for Pryde Trusses & Hardware, an exposed roof trusses design (and manufacturing), timber and hardware company. The expo space where the stand was reserved already had established stands of which some were 3 times the sizes of the stand space we wanted to reserve. 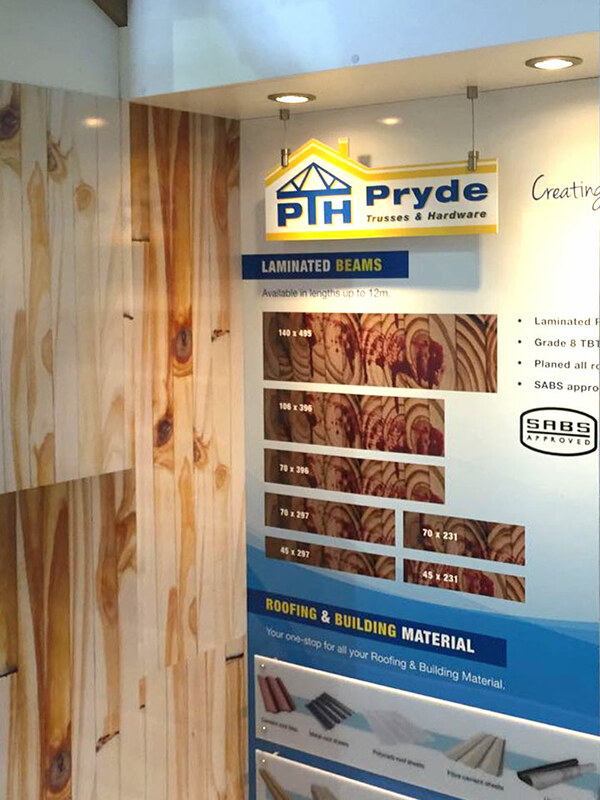 The challenge was to make the little space that we had available stand out, but at the same time do it in a cost effective way. We decided to make use of 2 x 1 metre spaces (The expo company charged you by the amount of metre wall space you use and not by area or volume.) and put them opposite each other. 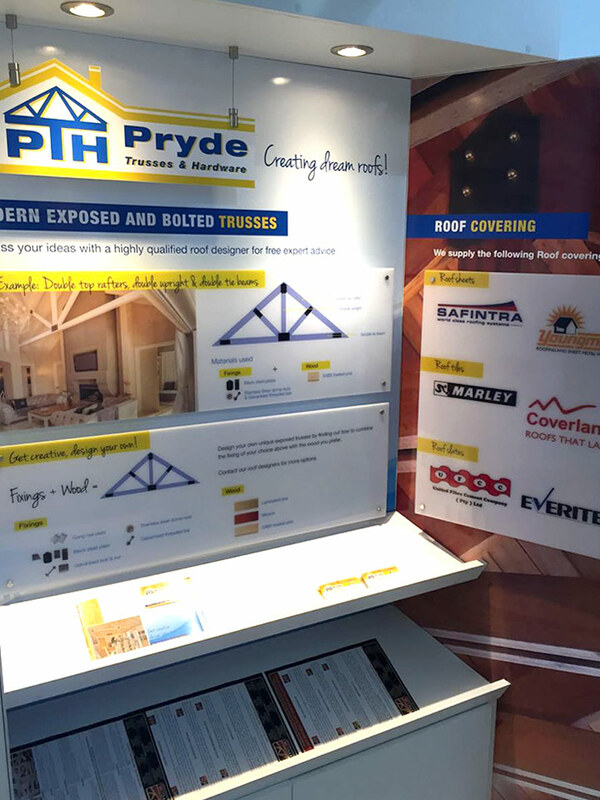 We connected them by placing a roof over the expo viewer’s walkway made from exposed roof trusses. When the viewer walk passed our stand, they had the expo space to the left and right, as well as above them. 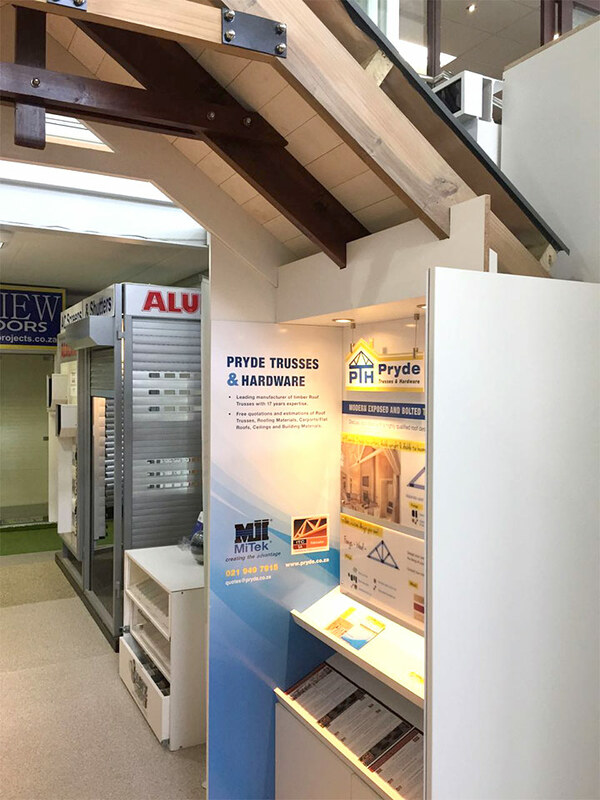 Luckily the client manufactures roof trusses an supply roofing materials, which meant that we could get a roof structure at cost price and at the same time it shows off their product with the use of complimenting lighting. We added some printed surfaces to the structure to communicate their products and services; and layered the logo over the print by creating a decal and pvc cut out descended from the roof with stainless steel cables. I loved working on this project as the client could assist me in my over the top structural needs with ease and it didn’t cost them an arm and a leg.